This undeveloped greenspace occupies a city block in downtown Beaufort. The Green, as it is known, has been used as a park for more than 150 years, though until recently the property was owned privately by a local family. The Gray family owned this acre of land, which had been divided into two parcels. Working with the Beaufort Open Land Trust, John and Molly Gray donated the eastern half of the property to the Open Land Trust and sold the western half to the organization for 40 percent below market value in 2010. The land trust was able to purchase the parcel with the support of Beaufort County‘s Rural and Critical Lands program, the City of Beaufort, and donations from private citizens. Use of the space will remain the same – a place to relax and enjoy the surrounding environment. The Green is located in the Old Point section of downtown Beaufort, where it is bordered by King Street to the south, Short Street to the east, Laurens Street to the north, and Pinckney Street to the west. 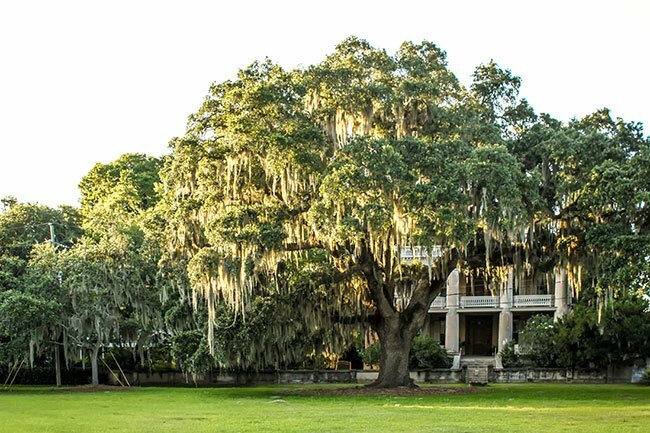 The old park anchors many historic homes, including The Oaks.